The European Style Garden is famous for 300 kinds of roses and azaleas that bloom beautifully in the spring. You can see Mt. Hieizan behind the gardens, providing gorgeous scenery. 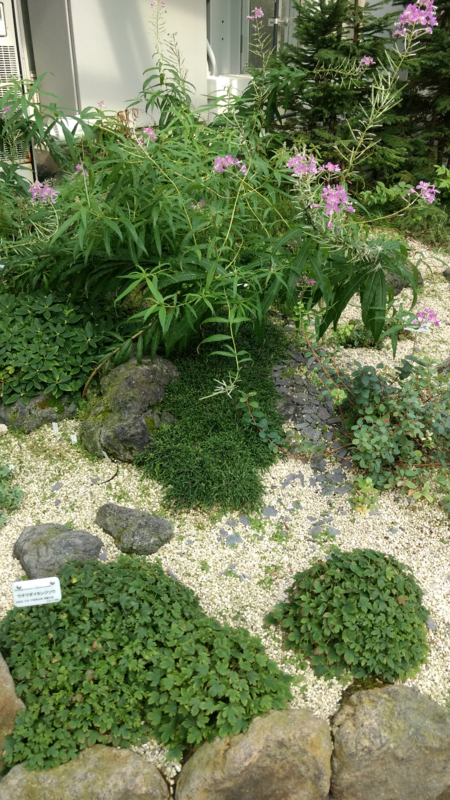 You will see two huge Himalayan cedars towering in the center of the garden. It is recommended to have a break at one of the benches near the trees. A French style Sunken Garden with a fountain is also very pleasant. 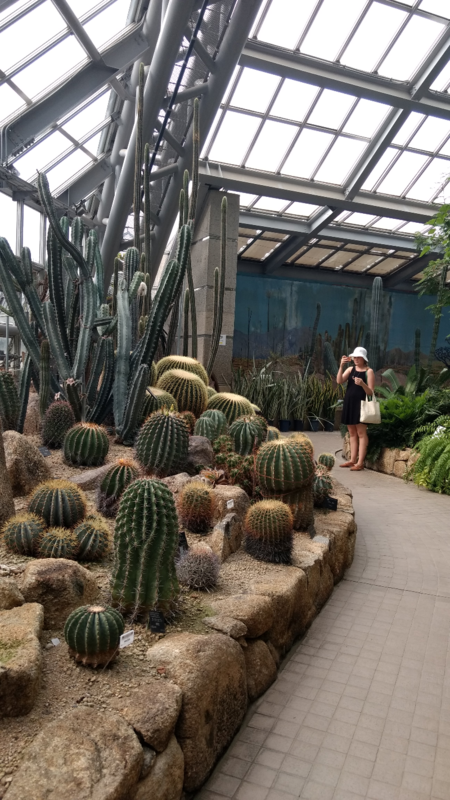 One of the biggest greenhouses in Japan with an area of more than 4,600 m2. The greenhouse consists of 9 zones such as a tropical area, alpine belt, and savanna area. 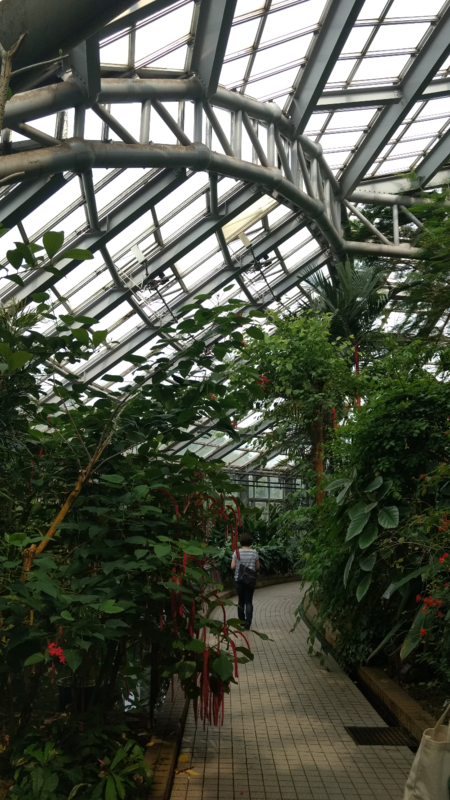 The greenhouse has a circuit inside, so you can find a number of plants that are rarely seen. Since the inside of the house is so exotic, you may forget that you are in the ancient city of Kyoto. It is a pleasantly unusual experience. The Nakaragi-no-mori is a natural forest preserving the flora of this area. Surrounded by small and big ponds, the forest has Japanese hackberries, maples, and many other trees giving different atmospheres throughout the four seasons. A must see is the little village shrine which was built before Kyoto became the ancient capital and is a great place for contemplation. If you’re a bit tired after strolling in the garden, visit the cafe, IN THE GREEN, situated next to the Kitayama gate of the garden. The restaurant is very popular as a place where you can enjoy coffee and sweets as well as Italian meals for dinner and lunch time with an open atmosphere. Open between 11am to 11pm. I personally recommend you to have a picnic in the Central Lawn, where families often enjoy themselves playing with their children in a sunny day. Good opportunity to get connected to local people. One of the unique plants to be seen in the garden is a transplanted Newton’s apple tree! You may have a chance to watch an apple falling down! It takes at least a half day to go around the garden, so spare enough time for the visit.